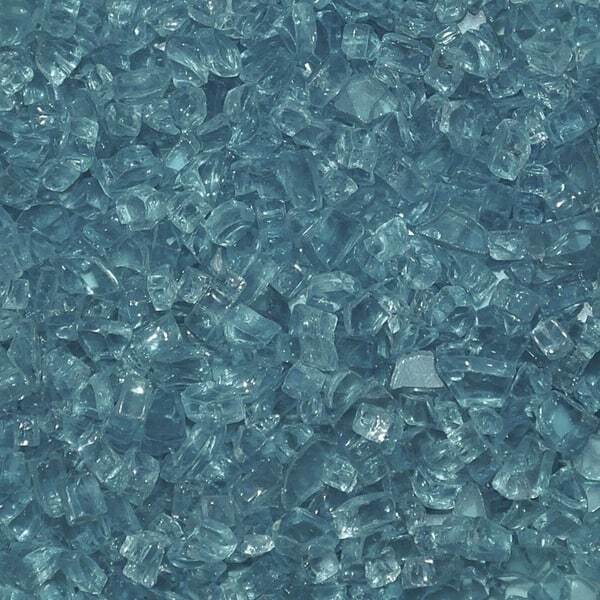 Twinkles of light blue will emit from your fire pit with this color option of fire glass. Create a centerpiece of burning gems in your outdoor living area with 1/4" Azuria Fire Glass. Creates a particularly modern look if the home has light colors, such as white walls or soft-colored stone.